No-one remembers who succeeded Alexander the Great, or who the next Khan was, after Genghis. Joe Shaw knew the feeling: when he signed up to manage Chesterfield in July 1973 his task was made all the more difficult by having to step into the shoes of the great Jim McGuigan. Joe finished an 18-year career at Bramall Lane with a record 629 league games to his credit. He began coaching the Blades’ junior sides upon retirement but went into management at York City in 1967. The Minstermen were forced to apply for re-election in Shaw’s only season there, but it was a surprise when he resigned in August 1968, citing personal reasons. His wife had a wool shop in Sheffield and the couple had been unable to sell this before completing a move to York. Prior to returning to club management at Chesterfield, Joe had been working as a scout for the Blades and Fulham. This experience resulted in the recruitment of good players in Ken Burton and the experienced Eric Winstanley. His first season, with the rump of McGuigan’s side, was a success, although the sale of Jim Brown to Sheffield United on transfer deadline day caused disillusioned fans to point at a perceived lack of ambition, as three April defeats killed any chance of promotion. 1974-5 was a struggle; gates dipped below 4,000 and unrest grew amongst players and supporters. The same question of decent pay that led to McGuigan’s resignation had still not been sorted out and Ray McHale and Kenny Tiler were prominent among those players who were “moved on” after going public with their unhappiness. Much of the fans’ complaints were laid at the feet of an antediluvian board, though, and Shaw was spared stringent criticism at the team’s poor showing. Shaw switched to a 4-4-2 formation with Malcolm Darling at centre-forward, turned down a Watford bid of £50,000 for Ernie Moss and a revival took the team from bottom to 14th place, earning Shaw a second Manager of the Month award in the process. Shaw brought Rod Fern to the club in the summer of 1975 but the ’75-6 season was again bedevilled by inconsistency as the fans’ patience began to wear thin. Player morale diminished; the Manager tried extra training and threatened to drop players but the lack of depth left these threats with a hollow ring. The sale of Ernie Moss brought things to a head. 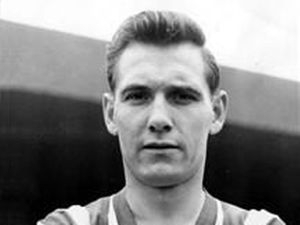 Shaw accepted a £30,000 offer from Peterborough for the forward, causing deep unrest on the terraces, while introducing new signing Steve Cammack with the words “If this boy gets a couple of goals, the public will soon forget about Ernie Moss.” Cammack was a good player, but any debate about the relative merits of the two was lost in the furore following Shaw’s apparently dismissive comments about Ernie. The summer of 1976 saw the last of the 69-70 championship side move on, when Albert Holmes called it a day. Long-serving Gerry Clarke had put in 22 years as player and coach but came back from holiday to be told in a three-minute interview with Shaw that he no longer had a job. Fans who understood the value of loyalty were aghast that another Spireite hero could be so easily dismissed. Although the opening games of ’76-7 saw the team in mid-table, seven players were booked for dissent in the opening four games. Clearly, something was not right, under the surface. On Saturday, September 11th, Wrexham came to Saltergate and inflicted a 6-0 defeat, the club’s worst at home for 41 years. The Monday morning inquest rumbled on for an hour and a half, and two things became evident: the players had no confidence, especially in home games, and Shaw could not motivate them to do better. The following Saturday a 4-1 defeat at Hillsborough pushed Chesterfield into a relegation place and on Wednesday, 22nd September, Shaw resigned. Peter Swan, who had taken Matlock to the FA Trophy final, was installed as favourite to take over. Joe Shaw did not take up a senior appointment in football again. The same competitive edge that made him such a great player caused him to expect too much of his players, and too easily led to frustration when they did not deliver. A line of managers who fell into the same trap would probably extend from here to Bramall Lane, so we should not judge him harshly for that. Although not quite cut out for man-management he had a good eye for a player, but his next job after Chesterfield was as a sales director for Bakewell Bodyworks Ltd. Joe retired to Sheffield and passed away there on November 18th, 2007.